Boat was last serviced June of 2014 with oil change. With only a couple of minor scratches and a small ding on aft port side she's in pretty good condition for a 2004. Stock #057714 FIsh or Ski. Such Low hours, it's almost like a brand new boat. Take a look today. 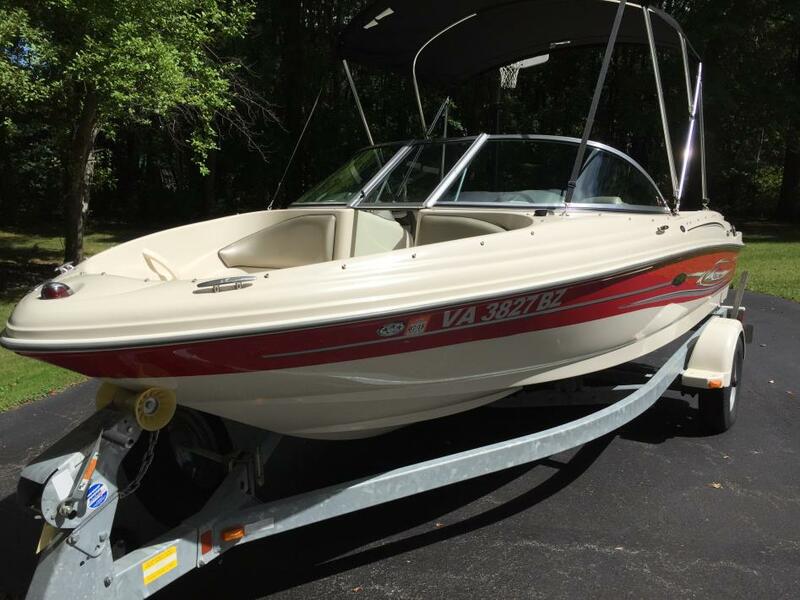 If you are in the market for a bowrider, look no further than this 2004 Sea Ray 180 Sport, just reduced to $9,500 (offers encouraged). 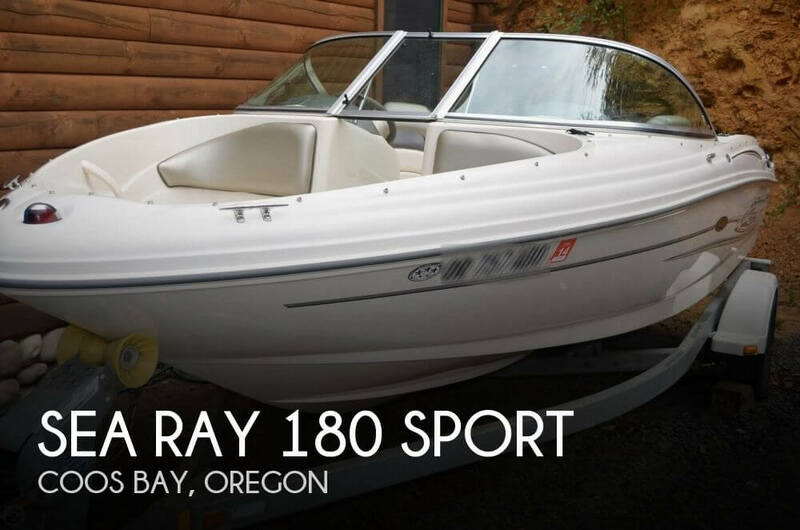 This boat is located in Coos Bay, Oregon and is in good condition. She is also equipped with a Mercruiser engine that has only 95 hours. This vessel is in very good condition for the year model. There are a few scratches, and minor fading on the exterior, but the cushions and canvasses look very good. The Engine compartment and motor is also very clean. The Trailer received new springs, bearings, disc brakes and mounting brackets less than two years ago. Stock #077844 ONLY 224 HOURS! RUNS GREAT! 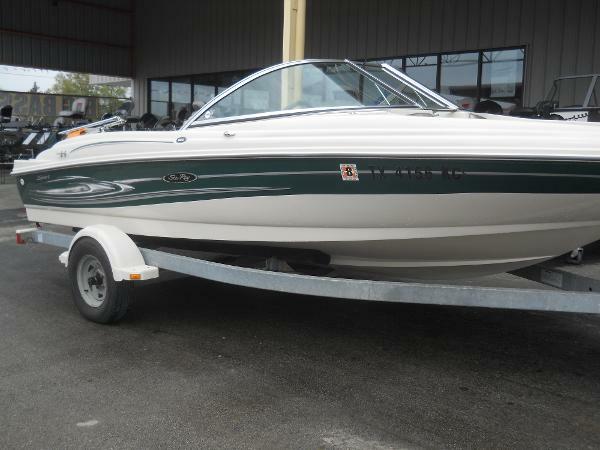 If you are in the market for a bowrider, look no further than this 2004 Sea Ray 180 Sport, just reduced to $12,500 (offers encouraged). 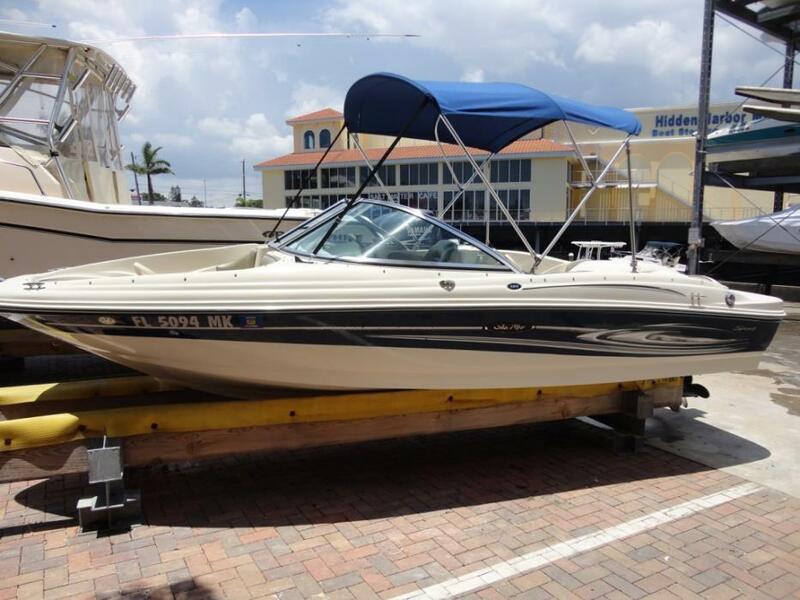 This boat is located in Englewood, Florida and is in good condition. She is also equipped with a Mercruiser engine that has only 226 hours. 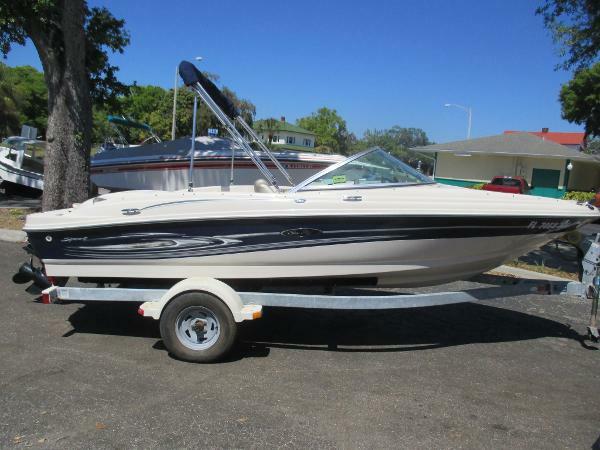 2004 Sea Ray 180 Sport Sea Ray 180 Sport Bow Rider 2004, 135hp 3.0 I/O MerCruiser, great condition, very clean, stored inside out of the sun at Hidden Harbor Marina in Sarasota, all fiberglass construction (no wood), all work has been done by a certified mechanic, tilt steering wheel, clarion stereo, depth/fish finder,swivel captains chair. Robert Stephens of BoatMag talks about the Sea Ray 180; Typically, a boat under 18 feet will lift dramatically out of the hole before dropping onto plane. But the 180 barely tipped up before settling softly to a level ride, all in less than three seconds. Add in surprisingly deep bow seating, and this is clearly one of the safest bowriders under 20 feet we've tested. It's also solid, with no soft spots or rattles, which is credited to the all-fiberglass construction (no wood) and the injection of closed-cell foam to assist flotation and rigidity. 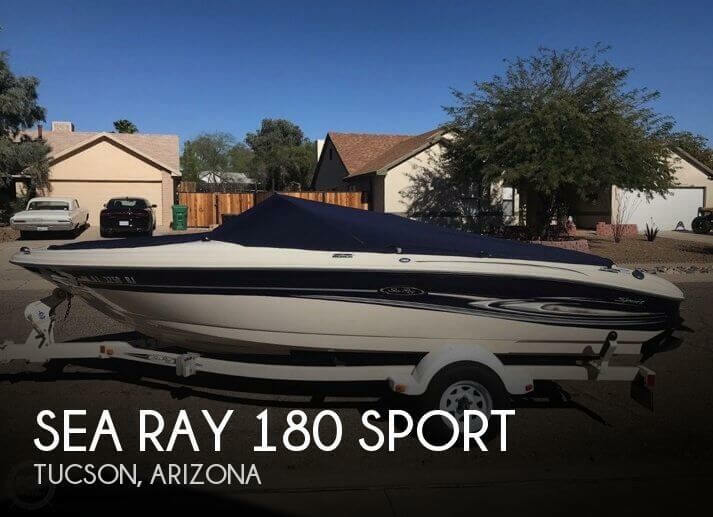 Like more expensive Sea Rays, the 180 has a fiberglass liner and gelcoated storage compartments -- something you rarely find on a boat for this price. We also noted the use of space on the 180. The driver's seat is on a low pedestal, so the view under the three-piece windshield is clear. Legroom isn't an issue because the helm base is hollow and the seat slides way back or swivels -- easily, without working it. Even when we slid the seat back, it didn't impede the legroom at the corner seat next to the engine box. The in-floor ski locker is sizable, too, with room for a wakeboard and boots, and the hatch stays up on a pressurized shock. 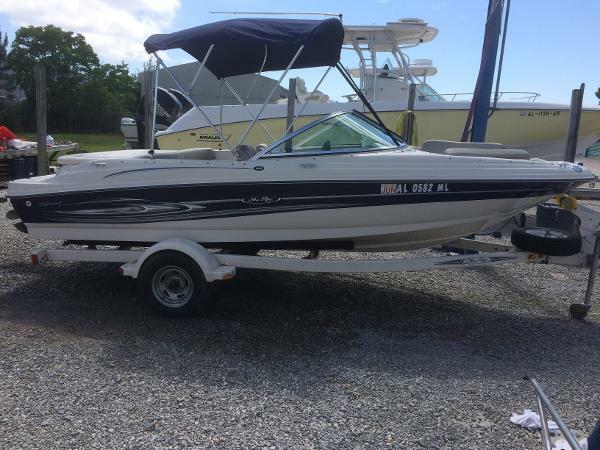 2005 Sea Ray 180 Sport 2005 SEA RAY 180 SPORT w/ 135hp MerCruiser 3.0L Alpha One Drive Only 20 hours Here is an extremely clean, like new, one owner freshwater boat so let the good times begin with this Sea Ray 180 Sport. We've included a revved-up 3.0L Alpha I MCM stern drive engine, power-assisted steering and bucket seats - all wrapped up with great optional, gel-coat graphics. It's even got a built-in swim platform. Just step in and you're ready to go! 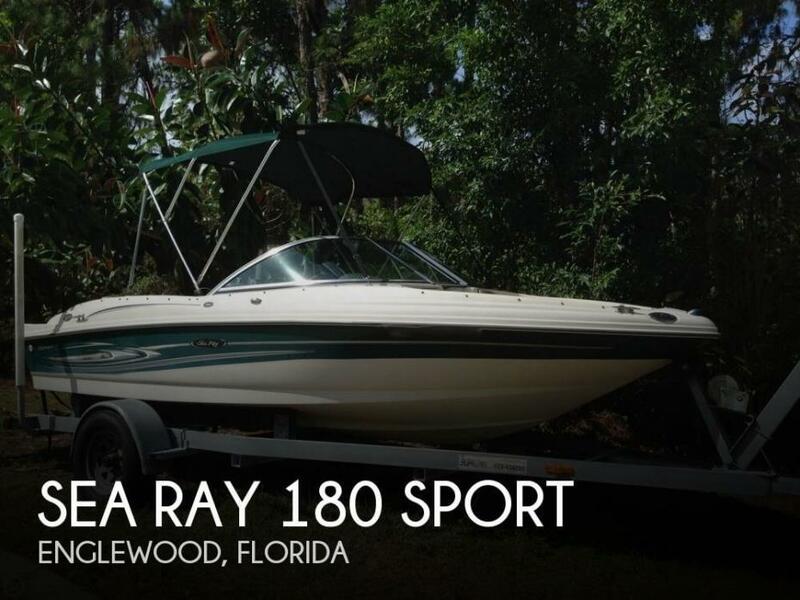 2005 Sea Ray 180 Sport This 2005 Sea Ray 180 Sport has been garage kept since new. 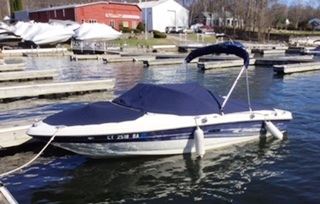 Powered with a 3.0 Lt Mercruiser (131 Hours) Comes with Bimini Top, Clarion am/fm Stereo CD Player , Cockpit Speakers and comes with a Trailer. 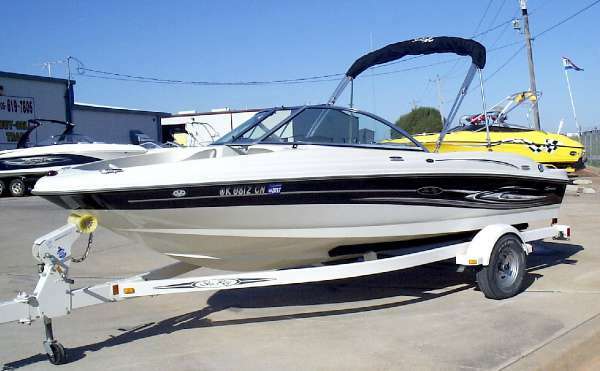 From The Factory: Let the good times begin with the Sea Ray 180 Sport. We've included a revved-up 3.0L Alpha I MCM stern drive engine, power-assisted steering and bucket seats - all wrapped up with great optional, gel-coat graphics. It's even got a built-in swim platform. Just step in and you're ready to go! 2004 Sea Ray 180 Sport Let the good times begin with this newly designed 180 Sport. We've included a revved-up 3.0L Alpha I MCM stern drive engine, power-assisted steering and bucket seats - all wrapped up with great new, optional, gel-coat graphics. It's even got a built-in swim platform. Just step in and you're ready to go! 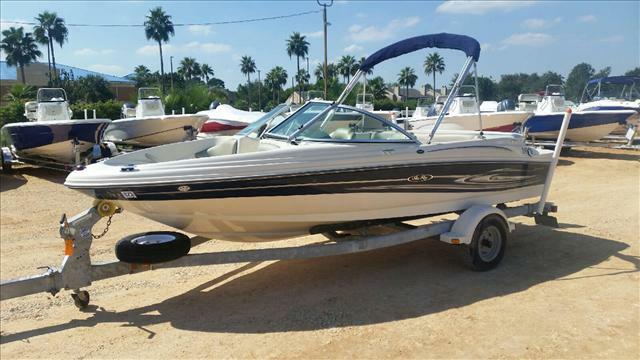 2004 Sea Ray 180 Sport This Sea Ray is the perfect family bowrider! 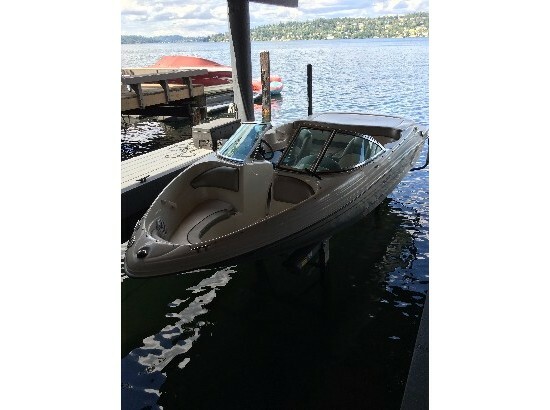 Equipped with bimini top, custom bow and cockpit cover, stereo, complete manuals, and depth finder! Swing tongue trailer included!! 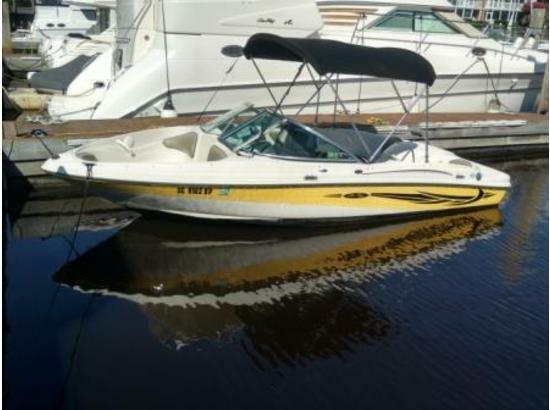 2005 Sea Ray 180 Sport This is very clean 2005 boat. It definitely does not show its age nor does it act it! 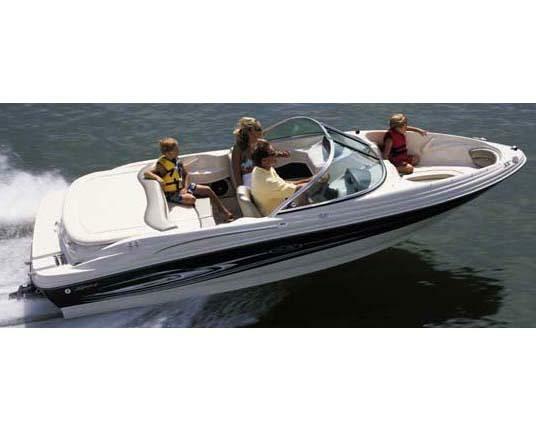 Let the good times roll with the Sea Ray 180 Sport! Included is a revved-up 3.0L Alpha I MCM stern drive engine, power-assisted steering and bucket seats - all wrapped up with great gel-coat graphics. It's even got a built-in swim platform. Just step in and you're ready to go! 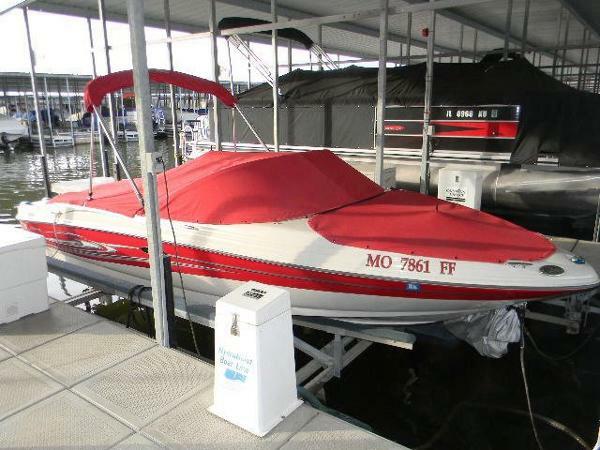 This is a must see boat at the right price.